Integrate / Consolidate planning data from different planning systems. E.g: Primavera, Tilos, databases, spreadsheets and more. Unique analysis capabilities - custom KPIs in dashboard. Proteus also has a unique and extremely powerful analytical engine that can be used to add a layer of configurable business logic. 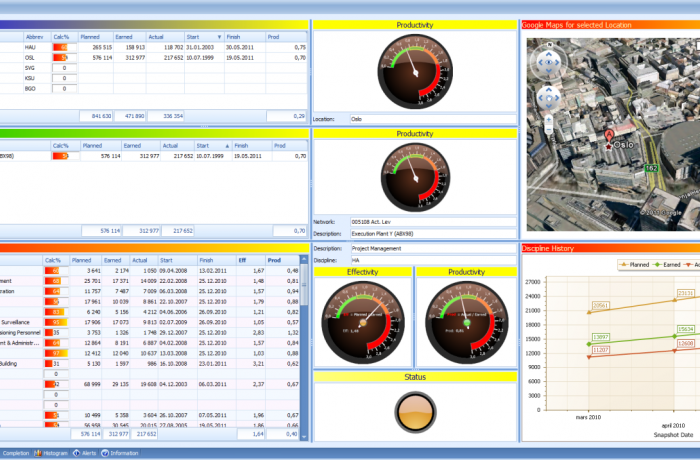 A typical usage of the Data Layout is to build custom KPI dashboards.